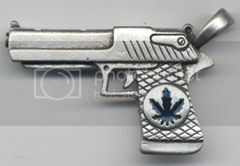 LAID - Legally Armed In Detroit (Michigan CPL CCW Classes): Michigan CPL FAQ: Can A Person Receive Both A CPL And A Medical Marijuana License? Michigan CPL FAQ: Can A Person Receive Both A CPL And A Medical Marijuana License? (Medical Marijuana) card, does one interfere with the other? A: The ATF at the federal level issued a memo recently whereby they assert that a Medical Marijuana License holder is a user of a controlled substance. As such, they believe that you can not own or buy a handgun and that your status could negatively affect your ability to get a state concealed pistol license.